It came to me in a dream. 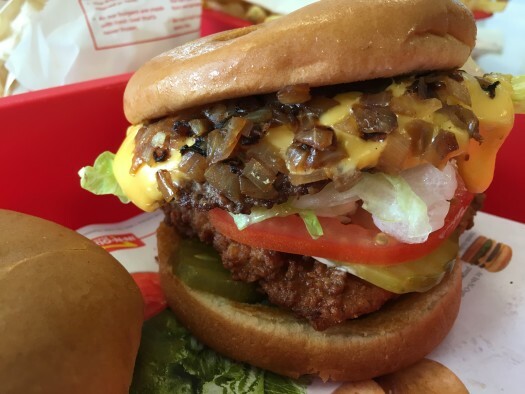 What if you took a Chick-Fil-A sandwich and an In-N-Out burger and put them together? Results: Incredibly delicious and probably extremely healthy, too. The Chick-N-Out (get it?) is one for the ages! This is the most brilliant idea ever. I am headed to San Jose with my son next week from WA—he hasn’t had In-N-Out. But we love Chick-Fil-A. We are totally doing this!